A copy of the famous sculpture "David" from Michelangelo is residing in front of the Palazzo Vecchio. 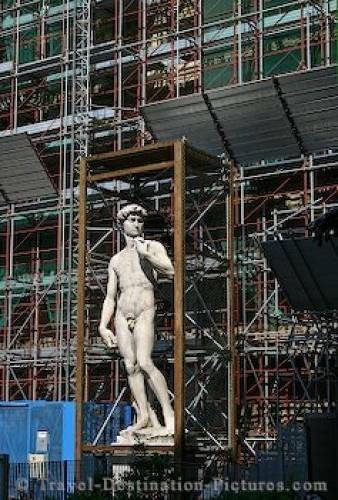 Because the Palazzo is under construction they needed to protect David - a very exceptional sight. work of art by Michelangelo.